You might have a few great activities or sight seeing planned for your vacation destination, but spring and summer days are long and the last thing you want to hear while on vacation is “Mom, I’m bored!” By planning ahead, you can prevent a lackluster vacation in your new or used RV from Vermont Country Campers. Here are some great RV activities to plan for so that your vacation is anything but boring! Whether you end up in a privately owned campground or a National Park, browse the website before you go or inquire about local opportunities. If you’re nestled deep in the great outdoors, take advantage of hiking opportunities. 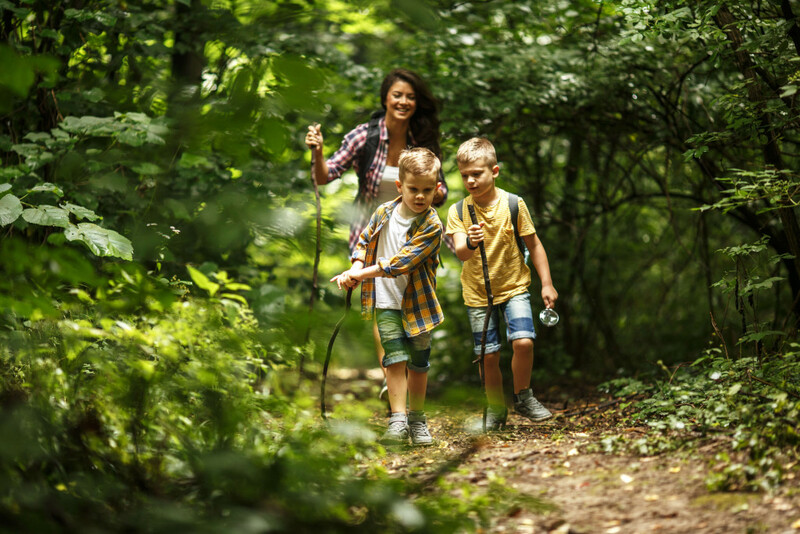 Plan to have a backpack lightly packed with light snacks (honor the Leave No Trace principles by not littering – save your garbage for when you return to your RV), water bottles, bug repellant, and a small first aid kit. Kids love exploring even without marked trails. For their safety and your peace of mind, make sure they’re supervised and you’ve let someone know the general area you’re exploring. With a little bit of forethought, exploring can be highly rewarding. 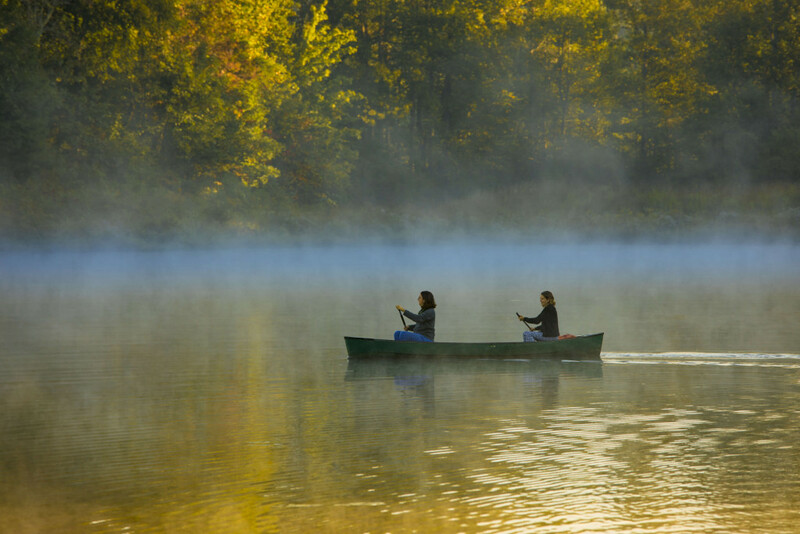 If you’re camping near a body of water, there’s no better time to take your kayak out than in the early morning as fog still rests on the lake and you have the comforting sounds of nature all to yourself. Rest, relax, and take in the view. You can be back before breakfast! The best part of campfire? The s’mores, of course! When buying food for your RV’s kitchen and pantry, make sure to stock it with marshmallows, chocolate bars, and graham crackers. Enjoy time with your family around the campfire in the evening, tell stories from your childhood, or talk about your favorite highlights from the day. On evenings that the weather prevents you from being outside, make the most of your RV’s entertainment options and either have a family movie night or pull out a few board games! 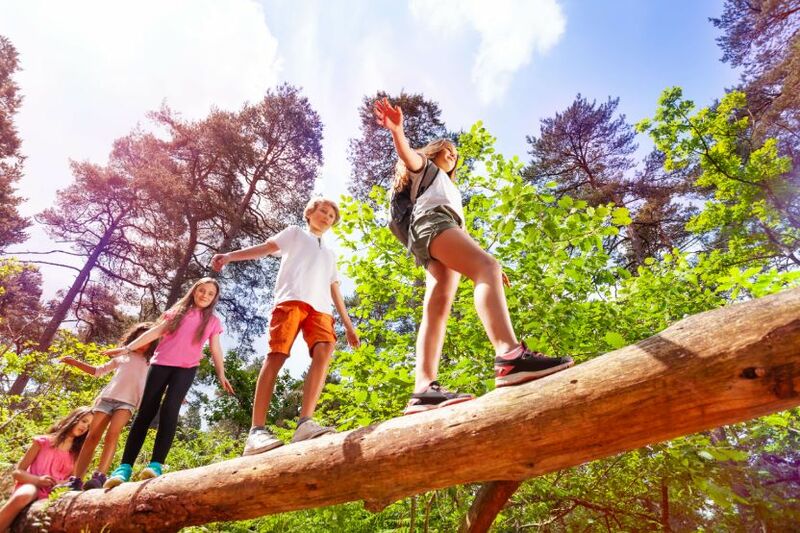 At Vermont Country Campers, we want to see you get the most out of your new or used RV, and we are certain these RV activities can help you make a great vacation even better. Contact us today if you’d like to take a look at our inventory or are ready to shop for the perfect RV for your family!